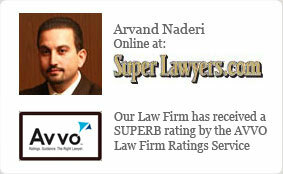 At the Law Offices of Naderi & Weinrieb, every case is handled by a team of criminal defense lawyers. 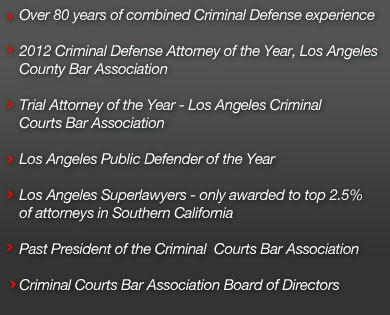 The variety of experience and knowledge shared amongst the team creates a powerful defense support for your case. In many law firms, you will be handled by a law clerk or assistant. This is not the way this firm operates. Your case will be handled by a team of criminal lawyers, and every aspect of the case is thoroughly reviewed and evaluated, seeking out the flaws in the case against you. Most cases have some degree of doubt that could be expanded and exploited in the defense of the client. Law enforcement errors, violation of rights, lab errors: each detail of the case will be completely assessed with the intention of discovering a viable defense strategy. The firm has a policy regarding communication between the client and the firm, which is the “callback” policy. Unfortunately, many clients that have come to the firm have had the experience at other firms of paying the fees and then being unable to get a return call. This would violate office policy and this policy is strictly maintained. You will always be “in the loop” when you are represented by a criminal defense lawyer from the Law Offices of Naderi & Weinrieb. When you have been arrested and charged with a crime, whether a first DUI offense or a serious felony charge, one rule holds true: do not discuss your case or answer questions until you have legal representation. In order to defend your case, you need legal counsel to advise you of your rights and how to proceed in answering questions by law enforcement. 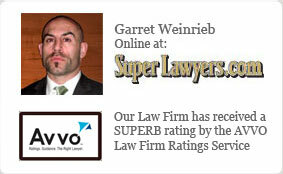 Fast action by a criminal defense lawyer from the firm can make the crucial difference in any criminal charge. The legal team is ready to move and take the critical defense actions that may change the outcome of your case for the better. If you have been arrested and charged with any criminal offense in Van Nuys, California, contact a criminal defense attorney from the Law Offices of Naderi & Weinrieb today at (818) 888-2711.